We all are familiar with keys and most of us carry many keys. Keys are essential to gaining access to what is locked. The Bible is like a key. We carry it with us but often fail to use it to unlock the wisdom we need for daily living. The Old Testament is a collection of 39 books written in Hebrew and divided into the Torah, History, Writings, and Prophets. These books tell us the story of God’s faithfulness. The New Testament is a collection of 27 books written in Greek. These books tell us the story of Jesus and the Church. The Psalms were written by multiple authors over a number of years. These writings comprise Israel’s hymnbook. Psalm 127 addresses the balance of home and work. It’s not about working a little harder; it’s about finding the work God created for us. We are designed as humans to work. God has meaningful work for us to do, but in order to find that work, you need to find God. (John 15:5, Hebrews 12:2, Ephesians 2:10). You are not the source of everything. Everything you have is because God gave you. Seek the Kingdom and He will provide your needs. God wants to move us to confident, cheerful dependence on him to provide (2 Corinthians 8:13-15). The primary place that God wants to use you is in the home. It all starts in the home and then everything flows from that. The world tells us to place our priorities elsewhere, but the home is the most essential place of priority. • What work do you believe God has called your family to do in this season? How are you seeking God to find that work? • In what ways do you trust the Lord for provision in your life and with your family? • How is family remaining a priority in your home? What are steps you can take to make the home a place of continued blessing to those there? 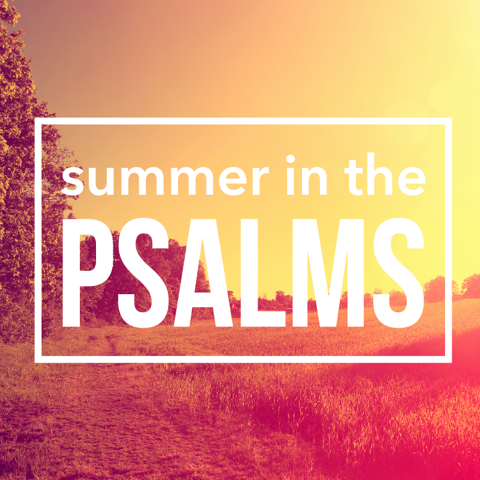 This entry was posted in Summer in the Psalms by KBC Faith Talks. Bookmark the permalink.